Do you wonder how to choose homeschool curriculum for the year without feeling overwhelmed and stressed? It can be an intimidating task, as there are so many great products to choose from. What if I told you that it doesn’t have to be that hard? 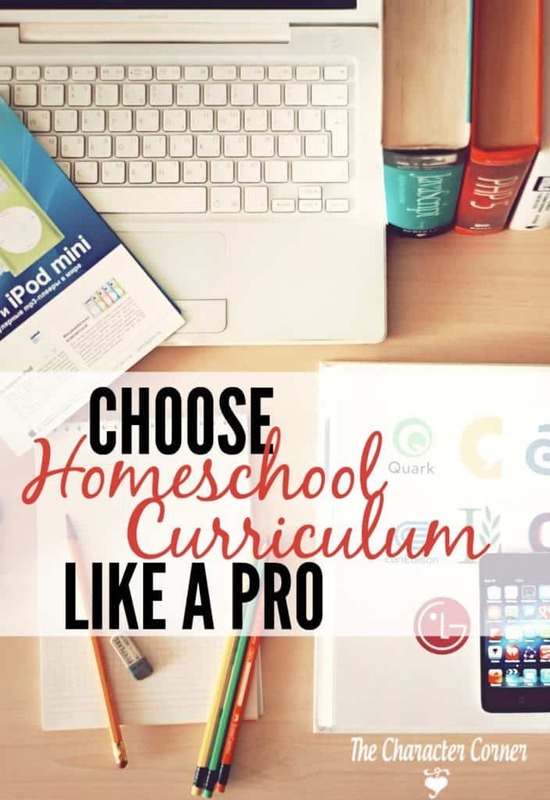 In fact, would you believe that with these 7 simple steps you can choose homeschool curriculum like a pro? This ranks up there at the top of the list. God led you to homeschool your children, and He will guide you as you make your curriculum choices. There is no need to figure it out all on your own! God invites you to call on Him and seek His wisdom. 2. Remember your philosophy and goals. The most important thing you to consider when choosing curriculum is whether it is in line with your family’s purpose for homeschooling. As you are loooking, be sure and remember WHY you are homeschooling, as well as what your priorities are. 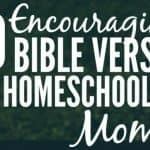 I suggest going back and reading your homeschool mission statement as you begin to start thinking about what curriculum to purchase. Look for materials that will help you achieve our goals and priorities. While the academics are very important, more important to us was pointing the kids to God and His Word, and helping them to develop godly character. We wanted them to learn how to reason and think — or develop wisdom. Is it teacher led or for independent learning? How much preparation time does it require? Does it explain the topic well for topics you struggle to teach? Can it be adapted easily to use with several kids? Will it work for MY child? Each child is different, so consider their needs. 1, What kind of home school teacher are you? 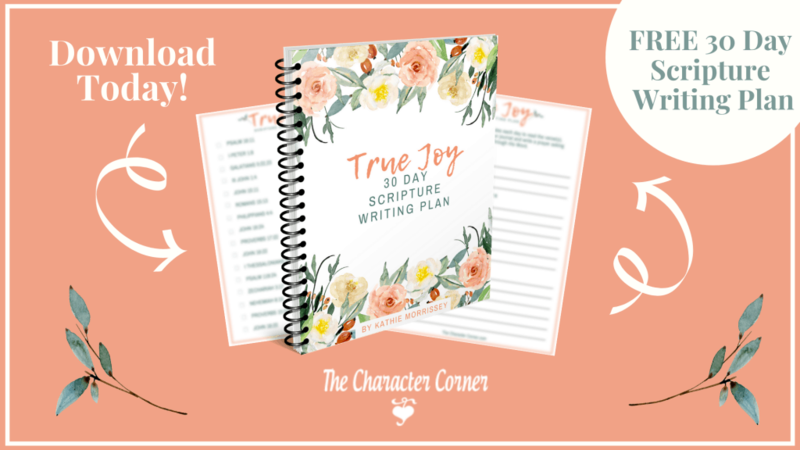 Do you need something that tells you exactly what to say, teach, and do? Or are you the type that will just take the book and kind of make it work for you? Do you have time to write lesson plans out or do other required preparation? If it is going to stress you, don’t buy it! 2. How do your kids learn? Hands on, auditory, visual? Considering that will make a huge difference in your choices, as well as save you some frustration as you choose curriculum that aligns with and compliments their way of learning. Choose materials that compliment their learning. 3. What goals do you have for their learning? God gave you those children with specific personalities and needs. The curriculum is a tool to help you disciple your kids, and teach them what God want you to. Will the materials help you accomplish those goals? 5. The best curriculum doesn’t matter if your kids are out of control, or have no character. Any attempts to teach skills and content without first addressing obedience will be met with frustration. You can’t teach them to read or do anything else if they won’t obey you. This is top priority. Character training lessons or curriculum pave the way for success with the academic curriculum that you choose. 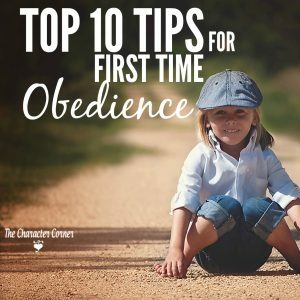 Your child must learn to obey, first and foremost, or you can never serve as his teacher. Teaching him to obey, to do his work and stick with it, to follow instructions, not to interrupt, and much more requires your diligent supervision and follow-through. That is the work of parenting, really. 6. 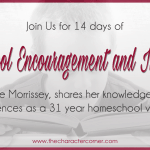 Ask experienced, veteran homeschoolers for input and advice. 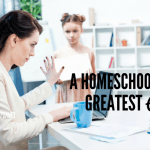 Whether it’s going to support group meetings, or to a home school conference, it is wise to learn from those who have been on the homeschooling journey for awhile. 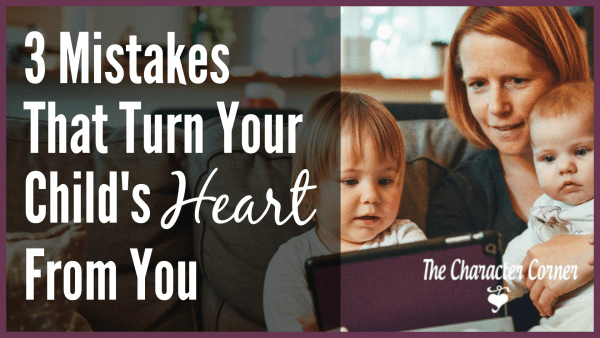 They often have lots of wisdom to offer you from their years of homeschooling, as well as from the mistakes they learned from. Another great source of advice is curriculum resource guides. I used (and loved!) Cathy Duffy’s Christian Home Educator’s Curriculum. (She has one for elementary and Junior/Senior High.) I used it every year as I made curriculum choices. You will pay more for a curriculum that has all the bells and whistles, which you may not really need. Depending on your confidence, you may or may not need to pay for the teacher’s guide. 7. Remember, there is no PERFECT curriculum. What is most important is that it works for your family, and helps you to reach your goals. The longer I homeschool, the more apparent it becomes that learning isn’t about stuff at all. It’s about talking, relating, sharing, inspiring, and loving. It’s also about my basic attitude toward learning and life. I want my children to learn godly character, good habits, research skills, and some specific material, but most importantly I want them to learn to love learning. If they learn nothing else from me, that’s enough. Will our children learn to love God? Will our children learn to love learning? If our curriculum fails to address either of these priorities, we are misguided. We must not allow ourselves to get so sidetracked by the “experts” that we forget the important thing–training our children’s hearts for the Lord. 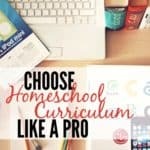 With these tips on how to choose homeschool curriculum, you can eliminate the stress and overwhelm and make choices with confidence! For help on choosing curriculum with a Biblical worldview, sign up for the FREE Homeschool Curriculum Online Summit! It starts today March 25th and goes through March 30, 2019. …..and the right tools to bring it all together.